Chocolate sweets are the latest range of Saludbox products. Although they may look like simple chocolate snacks, our chocolate sweets contain active ingredients that help strengthen your immune system. Do you want to boost your natural defences? You may already know the properties of probiotics, bacteria that are in the digestive system and help to improve natural defences and to develop the immune system. 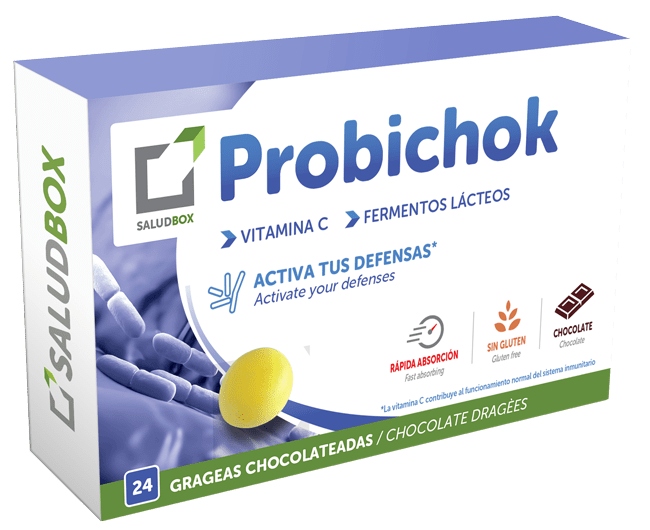 Probichok is a chocolate sweet that contains proven probiotic strains and will help you to build protective barriers for your body.